Chicago Dramatists announces a new vision focused on renovated programming, a fellows program, varied workshop opportunities, and creating a more inclusive and collaborative process with other Chicago theatre companies. These developments are in addition to Chicago Dramatists’ 38-year legacy of supporting the artistic development of resident playwrights through public and private readings, workshops, and productions. New resident playwrights will be announced this month. The new writers will join 18 continuing resident playwrights; all playwrights will now have a term limit of six years with the organization. An active alumni program will provide former resident playwrights access to programming. Chicago Dramatists will no longer be a producing theater. Instead, Chicago Dramatists has instituted The Grafting Project, an initiative to promote resident playwrights and to collaborate with peer organizations. A public showcase of new resident work is scheduled for September 17. The event is open to the public and will be an opportunity for Chicago to hear the work of new resident playwrights. Chicago Dramatists’ first day-long conference is October 1. The event will feature playwriting panel discussions, mini-sessions on the business of theatre, and roundtables on the changing face of new play development. A party will celebrate the repositioning and participants are welcome to stay for a Grafting Project play on our stage. For more on the resident playwrights at Chicago Dramatists, view here. Chicago Dramatists nurtures playwrights with the resources and collaborators necessary to realize new work and grow as artists; it is Chicago’s center for new play development. Dedicated to nurturing playwrights and developing new plays, Chicago Dramatists enriches the national theatre repertory. Plays developed at Chicago Dramatists earn hundreds of professional accomplishments, including productions, awards, commissions and readings at theatres in Chicago and worldwide. Distinguished alumni of Chicago Dramatists include Lydia Diamond (Smart People, Stick Fly), Tanya Saracho (El Nogalar, How to Get Away with Murder), Andrew Hinderaker (Colossus, Penny Dreadful), Rick Cleveland (The West Wing, Six Feet Under, Mad Men), Rebecca Gilman (Pulitzer nominee, Spinning into Butter, Luna Gale), and Keith Huff (A Steady Rain, House of Cards). 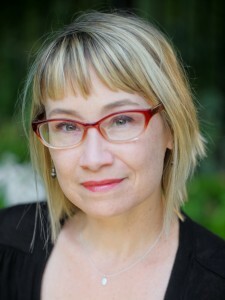 Chicago Dramatists is led by Meghan Beals, a director and dramaturg committed to the advancement of Chicago playwrights and innovation in new play development. Beals joined Chicago Dramatists as Artistic Director in August, 2015. For more information, visit www.chicagodramatists.org.